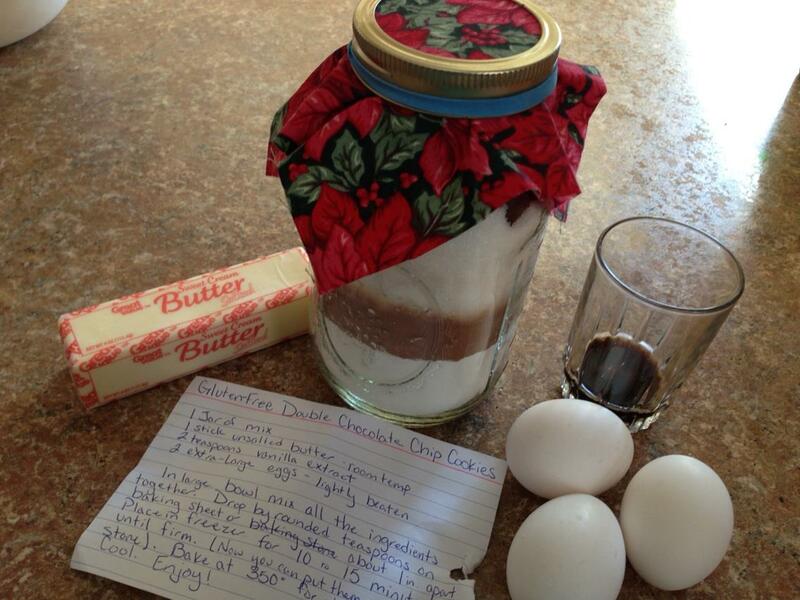 I originally found this recipe to make as a Christmas gift for one of my friends since she tends to avoid wheat gluten. Its always been hit and miss for me when it comes to gluten-free cookies, but I think these were really delicious and worth it! I found the original recipe here. The only changes that were made to it, were I used dark chocolate chips instead of milk, and when they were made my friend used three large eggs instead of two jumbo. 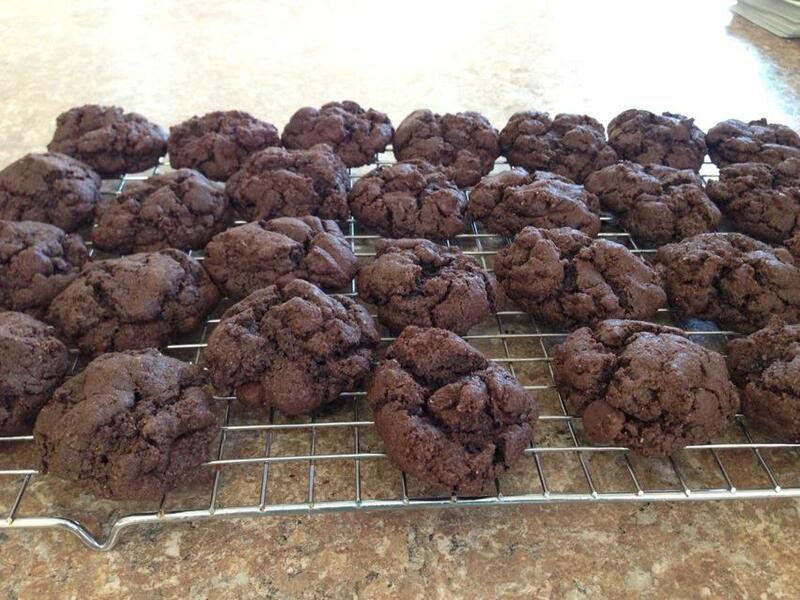 In a large bowl, place flour, xanthan gum, cocoa powder, baking soda, salt and sugar, and whisk to combine well. Place the chocolate chips in a small bowl and toss with 2 tablespoons of the dry ingredients and set the bowl aside. Add the butter, vanilla and eggs to the dry ingredients, mixing after each ingredient until the dough comes together. Add the chips and reserved dry ingredients, and mix until the chips are evenly distributed throughout the dough. Drop the dough by rounded tablespoons on nonstick rimmed baking sheets about 1 inch apart. Place the baking sheet in the freezer for 10 to 15 minutes until firm. Place in the center of the preheated oven and bake until just set, about 10 minutes. Remove from the oven and allow to cool on the baking sheet until almost entirely cool and solid. Transfer to a rimmed baking sheet to cool completely. Well I though that it was time for a change, and this year I wanted to try something I had seen of Pinterest a while back. They are called Sunrise Potatoes. The original pin lead me back to Our Best Bites. I thought they looked tasty. I made them for Christmas morning. They were a hit! Everybody said they were really good! And they were really simple to make! The best part was, the potato that i scooped out was used later that day for the Mashed Potatoes at dinner. No waste! You know they look tasty….go to the original sight and give them a try. I haven’t posted much food on here. So I think now is a good time to start doing that. Now, 4-H is all about health…it is one of the Hs after all. Every once in awhile it likes to branch out into something unhealthy and tasty. How could I say no to that! I haven’t made this myself yet, but the ingredients look tasty, so what can go wrong? 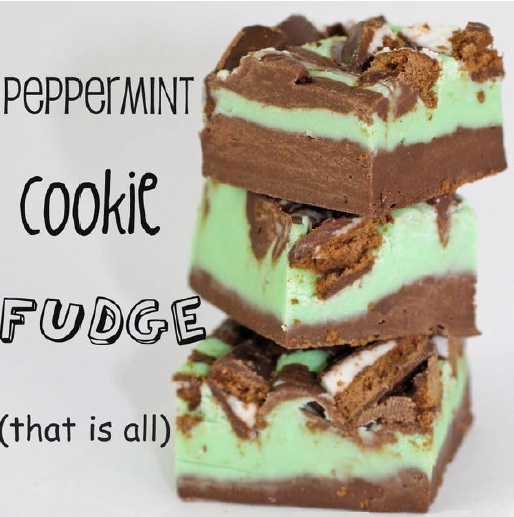 Here is a link for the Peppermint-Cookie-Fudge!